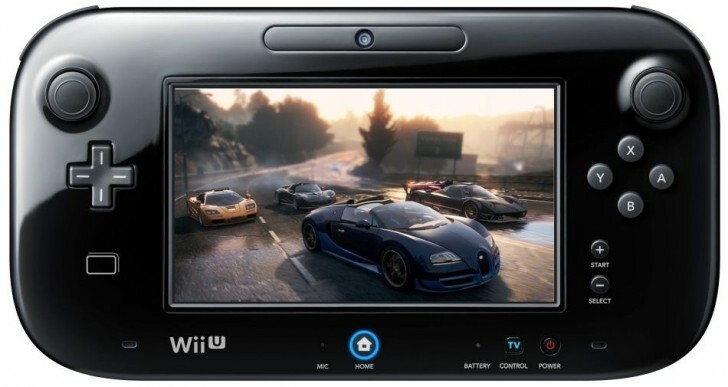 Welcome to the official discussion thread for Need for Speed: Most Wanted U on the Wii U! To start, please add this game to your log, add it to your collection (if applicable), and (when you are ready) rate it using the link above! I never really played Need for Speed games before, but I did have fun with Burnout on the GameCube. Criterion knows how to make a good racing game, and even though this game is a port, it absolutely shines in the Wii U library! The game is very beautiful (as it should; it uses high-end PC textures not seen on PS3 or Xbox). Third parties should take note of how a port should be handled on this next gen console. In case you didn't know, what makes this game special is you are free to drive around the large open city, Fairhaven. You watch out for traffic and try avoid police pursuit, while at the same time doing stuff like trying to find all the objectives (smashing through billboards, triggering speed radars, and more). Basically you drive around and have fun and earn Speed Points while doing so, which lets you unlock a lot of cool stuff for all the different (real) cars in the game. You're also trying to defeat the titular 'Most Wanted' racers in the city, but you have to earn the right to do so. It's kind of weird how this game includes a lot of the DLC that seems to remove challenge from the game. For example, rather than drive around the city to locate new cars to drive, it seems you have access to them all right from the start by just opening the 'Easydrive' menu? Hhmm. I love the online integration and seeing my friends show up on the signs in different part of the city. Scrawnton seems to have made a name for himself in the city, among others! I think I tried his challenge, and failed miserably. I really hope to start putting more time into the game. I've been using the Aston Martin for the most part lately. I've been considering getting this game since it's getting cheap, how many people here have it? Knowing this will help me decide if I should try it. I have this game. I've played it for about 10 seconds. But they were the best ten seconds of my life. Nah, it was just tutorial stuff, mostly. With an endlessly looping Muse track! I've been meaning to really dig into it. If you click on the game's title in the OP, you will see that currently there are only three NW owners for this game (including me). @Anand didn't even add it, but maybe because he hasn't really played it much! Of course, not all the NW'ers who have this game have added it to their NW game collection. When I play the game, I can see quite a number of NW users on the various leaderboards (though I don't recall all their names of the top of my head). I'm so addicted to this game at the moment, which really surprises me. I never even bothered giving this franchise a look before! I love how easy it is to pick up and play, even for short bursts, which is why some days I'll just leave the Wii U on all day so I can jump into the game quickly. Anyway, I've only logged about 5 hours so far. I've shut down 3 of the 10 Most Wanted cars so far (which seems to be the primary objective for the game), but I'm doing plenty of racing and exploring of the city in between. And failing a lot! Wow, I still have trouble keeping myself from crashing during these intense races! I guess since I change cars often, I'm having trouble adjusting to the handling nuances of each car. Or maybe I'm using the wrong car sometimes. In a previous post I mentioned how cool it is to see friends showing up in different parts of the city. I love this competitive aspect of the game. My biggest competitors right now are gojira, InfinityWave, Scrawnton, and VofEscaflowne. I can see their Mii faces on billboards where they hold the record for longest jump, or their speed record when I drive by one of the many speed cameras scattered throughout the city. I can always compare my progress to theirs in many different ways, and the game rewards you for beating those records as well (with Speed Points, no less). I haven't played a Need for Speed game since the original on the 3DO... true story. I don't think I even know what the series is all about, so I couldn't risk picking this up at full price, but I really do respect the developer for actually putting effort into a Wii U port. I just bought the game since it's so cheap now, hopefully I'll see some of you around! I played the game for a while but still had a few races to do and of course smashing all the billboards and stuff. It's been a while since I've played it now. Holy mackerel... I had no idea just how cheap it had gotten. Unfortunately, I lost my job a couple weeks ago in a manner that disqualifies me for unemployment benefits, so this will have to wait until I get another. I've been meaning to pick this game up because I loved Burnout Paradise so much, but deep down I know it can't be as good as Burnout...or is it? Vof, I know you've played both. Do you think it's worth spending $20-$30 on Most Wanted? I played the PS3 demo last year, and I remember disliking the police chases and the framerate (only 30 fps). However, if the core gameplay is fun then perhaps it's worth a try. I don't know if it's me but I don't think it feels quite as good as Burnout Paradise. The world is still fun to explore and race in... but it doesn't quite feel the same. Hard to explain. Maybe it's because I had a bad experience due to its online being total crap on my PS3 (it worked fine on the Wii U but the community is dead) and how it feels like a step back to Burnout. Also, the game definitely doesn't feel as arcade-y as Burnout. I still had fun with what I played but considering how much I played Burnout Paradise (seriously, 100+ hours... in a car game), in the end, it didn't quite live up to it. I have Burnout Paradise for PC that I'm actually excited about playing at some point (even though I know I probably won't stick with it for too long). A lot of these racing games are very similar to me so I don't feel like I need to get NFS:MW (even though if I did get it, I'd definitely get it on Wii U). I have taken down the Ten Most Wanted and have seen the game's credits! Strangely enough I haven't touched the online mutliplayer yet! I need to do that! Looks like I'm close to getting 100% in several categories, including billboards, speed cameras, and security gates. I might as well try to get all of those, though I know some of those billboards are very difficult to reach unless you reach a very high speed when reaching the ramp. That last Most Wanted race was thrilling! It was incredibly intense to be driving through narrow corridors at very high speeds; the world around you starts to blur, yet I somehow managed to not crash during those critical moments. And compared to all the other races, it was also the longest. Quite the endurance match indeed. Maybe it's because I haven't played Burnout Paradise (it never came out on a Nintendo system), but I am just amazed with how much fun I'm having with Most Wanted U. Yes, hope to see you online! Oh, on another note, I thought it was cool to see comments from the developers during the credits, and many of them were to proud of the Wii u version and claim it's really the best version. I wasn't even planning to get anywhere close to 100% in this game, but I just can't stop playing. Seriously, I'm hooked and am just amazed by how much fun I'm having. I'm not sure I'll get 100% since I'm having trouble getting first place on some of the events, and I've already spent more time on this game than I initially thought (hit the 18 hour mark now). I'm quite happy with my 94%! I started playing online last night, and wow, it's awesome how they've implemented the open nature of the city into multiplayer. You're placed somewhere in the city and are told to go to a meet-up location for the next event. Everyone tries to get there first and maybe crash into rivals along the way for some Speed Points and bonuses. The events are catered to certain car classes, and you can easily switch cars from the menu. We had a team race, then went to another event where you have to jump ramps for as much distance as possible. I did horribly, but had a good time nonetheless. I think I'll play some more online before I put this game on my finished pile. It's definitely one of my favorite Wii U games so far! I picked this game up used recently and it's really damn good. The open world element gives me a chance to get used to a vehicle's controls without actually getting in a race which alleviates a major frustration I have with racing games in general (particularly F-Zero and Fast as recent examples) which make you feel like you're banging your head against the wall because they generally start at a fairly difficult level and feel like theu punish you for not being able to immediately figure out a vehicle's controls. This is all still true. Except for the Muse part. I AM somewhat more familiar with them now.